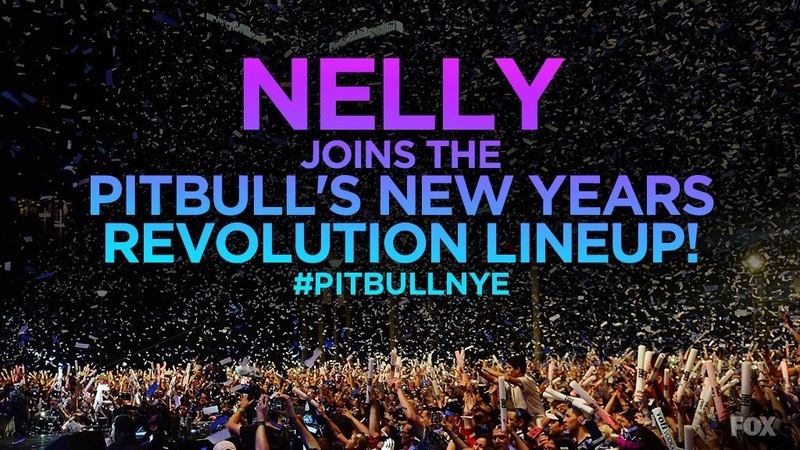 Hip-hop star, Nelly has officially been added to the Pitbull’s New Year’s Revolution 2017 lineup, joining the roster of hip-hip legends. Pitbull’s New Year’s Revolution, airing live from Miami on Saturday, Dec 31, will be co-hosted by Snoop Dogg and Queen Latifah. And as announced earlier this month, in addition to Pitbull performing, the party will feature performances by nine other artists including Nelly, who has just been officially announced! The full list of confirmed performers are Biz Markie, Salt-N-Pepa, Coolio, Rob Base, Tone Loc, Naughty By Nature, and Nelly. There are also rumors that Desiigner will also be hitting the PitbullNYE stage at Miami’s Bayfront Park to ring in 2017. Pitbull’s New Year’s Revolution is produced by Switched On Entertainment and Honey I’m Home, and it will air live on FOX starting 11:00 p.m. ET (CT/MT/PT tape delayed). Apply for free tickets to PitbullNYE here.